Quality ranch properties in this area of Montana have historically been tightly held and hard to come by. The Castle Mountain Homestead is a rare offering in this remarkably beautiful and genuinely Montana setting. The 600± acres lie within the Lewis and Clark National Forest on the northeastern slopes of the Castle Mountains. The ranch offers hunting for elk, deer, black bear and mountain grouse. 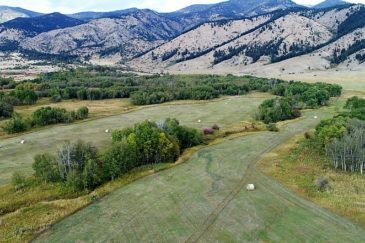 With improved access just 7± miles south of Checkerboard and 95± miles northeast of Bozeman, the ranch offers a convenient getaway, loaded with recreational flair right in the midst of a very special and largely unaltered western ranching community.